Were I to be melodramatic, I’d refer to the Lifehouse project as Pete Townshend’s white whale. However, not only would that be an exaggerated statement, it would also be incorrect from one important point of view: it seems unlikely that Pete’s interest in the piece will ever actually kill him. Nonetheless, the aborted 1971 work apparently remains an obsession of his. More than 30 years down the road, he continues to concern himself with it. Like a dog who can’t stop chewing the same bone, Pete seems unable to just give up on Lifehouse. Here’s the basic history of the piece: Lifehouse was conceived as the follow-up to the Who’s breakthrough “rock opera”, 1969’s Tommy. Lifehouse would embrace the experimental nature of the era, as Pete wanted to create an on-going live musical piece that would be filmed and recorded for eventual release. The Who were to play an extended set of loose and growing concerts, which began at London’s Young Vic Theatre in February 1971. Pete hoped that the band would stay there for months, and the same audience members would return on a consistent basis so the interaction between performers and observers would grow. As usual, Pete hoped for more than the rest of the world could deliver. The rest of the band hated the idea - they never much copped to Pete’s more elaborate concepts - and the fans just wanted to see a plain old Who concert. Pete planned to make this whole thing into a film eventually, but that never occurred. Due to a mix of factors, he couldn’t get the concerts rolling as planned, and eventually he lost funding for the movie. He also lost his wits for a period, as he suffered from a well-publicized breakdown. Despite the agony of that period for Pete, something very good came from it: Who’s Next, arguably the band’s greatest album. Seven of that records nine songs had their roots in Lifehouse. However, the basic tale of Lifehouse - about a disconnected society that comes together via music - essentially evaporated on Who’s Next. Does any of that story come through via the DVD of Music From Lifehouse? Nope - not really. The remnants of the tale remain, but you’ll have trouble picking up on them via this production. However, that shouldn’t be seen as a negative reflection on the program itself, as it actually offers a fairly engaging concert. 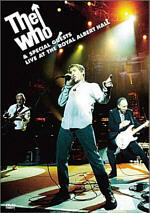 Townshend staged this purely musical iteration of Lifehouse at London’s Sadler’s Wells on February 25 and 26, 2000. Though he speaks between songs to briefly discuss the story and its background, Pete doesn’t do too much to elaborate on the tale. Instead, he lets the music speak for itself. If you know the story, some of it fits together and creates a semblance of the plot. 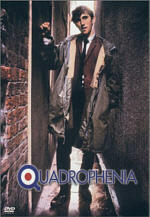 However, don’t expect a clear-cut tale; just as was the case with Tommy and 1973’s Quadrophenia - another “concept album” - the songs themselves don’t give us a very good interpretation of the plot. But they’re still good tunes, and for the most part, they work well within this setting. At least that’s the case after a slow start. As Pete states, the first half of the show offers the quieter tunes, and I don’t think they moved along too well. 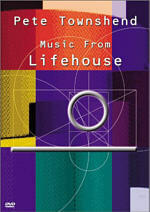 Lifehouse launches with mostly some lesser-known tunes. “Teenage Wasteland” provides a subdued variation on Who’s Next’s “Baba O’Riley”; that album also supplies “Love Ain’t For Keeping”. Tracks like “Fantasia Upon One Note”, “Time Is Passing”, “Greyhound Girl” and “Mary” never made any Who recordings, while “I Don’t Even Know Myself” only escaped the vaults as a “B”-side. Following that latter tune, the rest of the show consists mainly of famous tracks. “Bargain” marks one of many numbers from Who’s Next along with “Behind Blue Eyes”, “Baba O’Riley”, “Won’t Get Fooled Again”, “Song Is Over” and “Getting In Tune”. Many of the others from the Lifehouse period didn’t make that album but they popped up via other means and remain well known; I count “Pure and Easy”, “Let’s See Action”, “Relay”, and “Join Together”. “Can You Help the One You Really Love?” closes the show with another obscure number. As I noted, I feel the first half of Lifehouse moves much more slowly than the second. Part of this may stem from the less familiar nature of so many of the songs. The program stacks the hits mainly into the second half, and that may have affected my enjoyment. I think my preference for the second half also comes from the livelier nature of the production at that time. Visually, Lifehouse offers a very low-key piece of work. Unlike the 1996 concert renditions of Quadrophenia, Townshend doesn’t go for a theatrical presentation of Lifehouse. All we see is the extended band and some gentle lighting effects. Because of that, the show can seem somewhat drab at times. With the occasional exception of Pete himself, most of the performers are pretty laidback, and we don’t see a lot of flair from them. To be sure, they appear to get into the material, but the nature of the program doesn’t lend toward visual flair. As such, the first half of the show can seem pretty drowsy. The songs themselves are generally good, but they lack the spark to get things cranking. Frankly, as I listened to “Teenage Wasteland”, it was hard not to become frustrated as I recalled the Who’s more active versions. Pete probably shouldn’t have top-loaded the concert with so many subdued songs, as it makes the opening segment move more slowly than I’d like. However, Lifehouse definitely gets better as it progresses. Based on the first 50 minutes or so, I thought I wouldn’t recommend the show; it was so low-key and sleepy that I found it difficult to get involved in it. But once the pace picks up with “Baba O’Riley”, the rest of the ride seems pretty smooth. It’s not just the more rocking nature of the songs that does this, however. The whole band appears more energized during the second half, and the tunes tend to blend together more efficiently and neatly. During the first half, the concert feels largely like a series of slightly connected tracks, but the piece appears better linked and smooth through the last 50 minutes or so. Interestingly, I most enjoyed the new versions of songs I never much liked in their Who incarnations. The lower-key renditions of “Baba”, “Won’t Get Fooled Again” and “Behind Blue Eyes” suffered from the absence of electricity and power. It seems frustrating to hear “Fooled” without the rollicking drumming; percussionist Jody Linscott does fine with her job, but she can’t substitute for the “real” track’s drive and force. However, I don’t care much for the Who’s versions of songs like “Let’s See Action”, “Relay” and “Join Together”, and these seem more successful in their new setting. Perhaps they never were a good match for the Who from the start; they always seemed awkward in those renditions, whereas they work very nicely in this setting. Overall, I don’t know how much I like hearing Who songs placed into such an “adult-contemporary” setting. This isn’t an example of an “unplugged” program; it takes some of the tunes from their hard rock setting and calms them down considerably. However, ultimately I enjoyed Music From Lifehouse and thought that it built nicely. Parts of it left me a little sleepy, but the program seemed satisfying as a whole. Music From Lifehouse appears in an aspect ratio of 1.33:1 on this single-sided, double-layered DVD; due to those dimensions, the image has not been enhanced for 16X9 televisions. Though the show often looked quite good, it provided enough niggling concerns to fall a few levels. Sharpness generally appeared positive. Most of the program displayed a reasonably crisp and distinct image that seemed to adequately replicate the performance. However, some wider shots looked moderately soft and fuzzy. This wasn’t a terrible issue, but it did seem distracting at times. Moiré effects and jagged edges made some mild appearances on infrequent occasions, while edge enhancement offered more consistent flaws. Light halos marred a fair amount of the program, though they never seemed extreme. Otherwise, the material appeared to be free of source flaws or video artifacts. Lifehouse didn’t feature much of a palette. The performers wore dark tones, so the majority of the colors came from the set’s backdrop, and those didn’t exactly offer anything that appeared eye-popping. The hues stayed moderately earthy, and they seemed somewhat heavy at times. Black levels came across as a bit murky on occasion, and contrast presented some concerns; white lighting on Pete appeared too bright, while some of the background performers periodically got lost in the shadows. Despite these criticisms, much of Lifehouse actually looked very good, but the mix of issues knocked my grade down to a “B-“. Though not one of the great mixes, the Dolby Digital 5.1 soundtrack of Lifehouse seemed more consistently satisfying. The soundfield maintained a logical emphasis in the front channels, where it displayed nice stereo separation. Instruments appeared appropriately placed and had enough breathing room to be distinct. Actually, during the songs that featured the orchestra, stereo imaging became less effective, as the presence then seemed a little iffy. However, most of the show demonstrated nice spread and integration. Audio quality was solid. All vocals sounded nicely natural and warm, and I heard no edginess or flaws related to the singing. This applied to all the vocalists, not just Pete; the backup singers also seemed clear and accurate. All instruments appeared distinct and lively. Highs came across as bright and clean, while bass response seemed deep and rich without many signs of boominess. However, I must note that the track suffered somewhat when we heard the whole orchestra. The best-sounding aspects of the mix related to those with simpler arrangements; once the number of instruments increased, the quality dropped moderately. Oddly, the bass became somewhat muddy on those occasions, and the orchestral instruments sounded decent but lacked the brightness and vibrancy noted of other elements for the remainder of the show. To be sure, these concerns weren’t extreme, but I thought the best parts of Lifehouse were good enough to make these other areas more noticeable. The only area in which Lifehouse falters relates to its extras. We find no disc-based supplements. Instead, all we get is a booklet with a short history of the project. Written by Matt Kent, this is actually a very useful and informative text, but the absence of additional materials related to a project with such a long and difficult history seems like a disappointment nonetheless. If you go into Music From Lifehouse expecting the energy of a Who concert, you’ll feel disappointed. However, it you want to hear a certain version of Pete Townshend’s abandoned concept program, you should get some kicks from the DVD. At times the show seemed a bit too low-key, but it improved considerably during its second half and came to a fairly rousing climax. 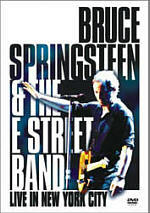 The DVD offered decent picture and very good sound but lacked any serious supplements. While Lifehouse provided a fairly interesting musical performance, I’d classify it as something of interest mainly to heavy Who fans.